Draftfcb’s commitment to enhancing its creative product shone brightly at this year’s 60th Cannes Lions Festival of Creativity, winning a total of 36 trophies, and adding to the agency’s full-circle involvement throughout the Festival. In total the network was presented with a Grand Prix, nine Gold, 12 Silver, 14 Bronze Lions and an additional 23 shortlists across ten categories, including multiple wins for such brands as OREO, NIVEA, SPCA/Mini, UTEC and Prime TV. With a conversion rate of 61% from all nominated shortlists, nine different Draftfcb offices from eight countries were honored, with Auckland being the network’s most awarded agency. The Kiwi contingent carried home 12 Lions with Draftfcb’s North American agencies the other big winners with 10 Lions and a Grand Prix. Canada picked up a Bronze; Chicago collected five Lions (one Gold, two Silvers and two Bronzes); and the New York office accumulated a Gold, two Silver, a Bronze and a coveted Cyber Grand Prix for OREO’s “Daily Twist” phenomena. Mayo Draftfcb and Giovanni+Draftfcb represented the Latin American agencies with five and three Lions respectively. 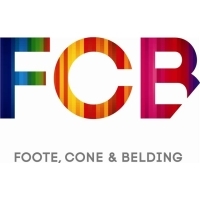 Completing the winning streak were Draftfcb Madrid with a Silver and a Bronze; Draftfcb in Cape Town with a Silver and a Bronze as well, and Zurich walking away with a Bronze. Draftfcb also achieved some World firsts at the Festival. Draftfcb Cape Town gave the first live case study presentation ever to a Cannes Lions jury for its Engen “Fire Blanket Wall Calendar” campaign in the new Innovation category. Draftfcb Caracas earned Venezuela that country’s first ever short list spot in the Film Craft category with its Adidas National Soccer Team commercial “Kaká”. The agency also sponsored a Forum presentation, at which a large crowd heard marketing professor Adam Alter and author of The New York Times’ bestseller Drunk Tank Pink, and Matthew Willcox, executive director of Draftfcb’s Institute of Decision Making, present: “Drunk Tank Pink: And Other Unexpected Forces That Shape How We Think, Feel, and Behave.” Highlights of the talk were the effect of color on aggression, athletic prowess and dating success as well as how the “named letter effect” can be instrumental in increasing charitable donations. These choice facts helped these speakers and Draftfcb itself rank among the most highly discussed topics and brands in post-event social media analyses. Across the judging panels, the agency was represented by five executives from four different countries including China (Pully Chau, president of Greater China, who was on the Creative Effectiveness Lions jury); New Zealand (Auckland’s Executive Creative Director Regan Grafton was a Radio Lions juror); Austria (Phil Hewson, co-ECD at Draftfcb Vienna, served on the Direct Lions jury); and the U.S.A (Global Executive Chairman Howard Draft sat on the Titanium & Integrated Lions Jury and Chief Digital Officer Chris Miller judged the Mobile Lions). For the sixth consecutive year, Draftfcb kept its long-standing commitment to give back to communities by reinforcing its partnership with ACT Responsible as a sponsor of its “How Creativity Helps Build a Better World” exhibition. Horizon Draftfcb Beirut and Dubai were awarded 2nd favourite in a public vote for the ACT Responsible Cannes Tribute Solidarity Award with its “September Christmas” for Tamanna. The award is given in recognition of the work carried out by agencies that are committed to lend their creativity and services to organizations and the causes they defend.